In the second of two posts considering the relationship between the UK courts and their EU and ECHR counterparts, Rhodri considers some of the differences between them and the implications for lawyers appearing before the supra-national courts. The text of these posts is based on a speech given to the Butterworths’ Commercial Judicial Review and Regulatory Proceedings Conference 2012. Another issue that was once often mentioned was a more intrusive attitude (a more intense scrutiny) by the European Courts as against the domestic administrative courts, including a greater willingness to substitute their own views for that of the relevant public body – again, it appears to me that this difference can be seen with the benefit of hindsight to have been significantly exaggerated. Certainly, both these points seem to me in reality less significant that the three points that I now turn to discuss. The first and to my mind the most important area of difference is the constitutional role that the administrative courts of the United Kingdom play as against those of the European Union and the Council of Europe. A good place to start to see the different roles that the EU Courts play as against those of the United Kingdom is the landmark Opinion of Advocate General Mischo in the Francovich litigation, viewed against the majority judgments of the Court of Appeal in the Bourgoin litigation a few years earlier. Both cases concerned the liability of the Member States to provide compensation for breaches of Community law. Although this Opinion could be said to represent one of the high water marks of EU federalism, and much has certainly changed in the constitutional structure of the Union and the relationship between the Member States since then, it seems to me nonetheless to reveal in a particularly stark form the difference that necessarily exists between the basic approach of the English administrative Courts, whose most fundamental principles include the sovereignty of Parliament and the promotion of sound and effective public administration within the United Kingdom, with that of the Court of Justice, whose constitutional preoccupation is the coherent development of EU law in accordance with its founding Treaties. Against the latter background, the protection of narrow national interests as against the wider interests of the Union must necessarily appear parochial. the judgment of the Court of Appeal in an early case on the internal market, R. v. Home Office, ex parte Flynn  3 CMLR 888, where the Court memorably found that the rules on the free movement of persons “have nothing to do with internal frontier control” – this judgment stands in striking contrast to a series of cases of the Court of Justice, notably Wijsenbeek, to very different effect. These cautionary tales are not intended to ridicule our senior domestic judges for their lack of understanding of basic principles of EU law. The point is rather that issues of public law and policy that may appear obviously misguided from the traditional perspectives of national administrative law may seem compelling when viewed from the wider perspective of the Court of Justice. And it is not only the UK courts that are liable to be caught out by a failure to give due weight to considerations of public policy as they may appear from the perspective of the international judge. It is equally true that considerations of Union policy, such as the needs of the common agricultural policy or the promotion of free competition within the internal market, may appear of quasi-sovereign importance from the perspective of the Court of Justice but to be only one of a number of competing policy objectives when viewed from the external perspective of the Court of Human Rights. Turning to my second major point of difference, the composition of the Court, this is in a sense no more than a matter of common sense and common observation. Although there has been some change in the composition of the English senior judiciary over the forty year period since accession to the European Communities at the start of 1973, it remains overwhelmingly the preserve of senior barristers who have practised in the English courts for at least 20 years before their appointment. It is inevitable that such a group of judges will have a very extensive set of common assumptions when confronted with novel issues of law expressed in a relatively unfamiliar idiom. By contrast, the European courts are composed of a kaleidoscope of judges with a very wide range of experiences as lawyers in private practice, legal academics and advisors to their national governments, operating under a very wide range of legal systems, national histories and political settlements. In such circumstances, it is again unsurprising that the common bond between such a diverse group will be a strong commitment to develop the body of law that binds them all together, namely the coherent development of the corpus of EU law and ECHR law respectively. The preoccupations of any individual group of national judges will inevitably be of relatively little significance to such a body. Thirdly and finally, there are real and substantial differences of procedure with significant implications for the approach of judges to the cases before them. Again, I am not concerned in this speech with points of detail but there are at least four major issues that need to be taken into account: standing, evidence, hearings and remedies. On the first two issues, standing and evidence, it is well known that, although there have been some significant developments at the EU level, the general approach is far more restrictive at the international level than before the UK domestic courts. Although there are domestic cases that fail for lack of standing, and the practice in respect of evidence in judicial review is in practice substantially more conservative than in general civil or criminal litigation, the English approach is inherently flexible and focused on the underlying policy issues at stake. By contrast, the rules at the EU level are strictly enforced, not only in respect of standing and evidence but also in relation to time limits and pleadings, in a way that would be seen as draconian in the Administrative Court. questions from the court, although quite common in the General Court, are unlikely to last more than an hour. The inevitable consequence is that the case is to a large extent determined on the papers, with only rare exceptions that indicate that the view of a court has been materially altered by the oral submissions made by the parties. This is only more obviously the case because the international judge, in contrast to the great majority at least of UK judges, is supported by réferendaires (judicial assistants) whose role is to analyse the pleadings and to research the case law for all the cases before the court. Finally, the question of remedies is a crucially important one in domestic administrative law proceedings, with the administrative court having a very broad discretion to tailor its response to a particular case from no remedy or a bare declaration to specific mandatory orders requiring particular action by a public body and the payment of damages. By contrast, the normal remedy at the EU level is simply annulment of the relevant administrative act, with the practical consequences being a matter for the EU institutions to determine in the light of the judgment or for a separate action for damages for harm resulting from the unlawful act. These practical difficulties lead me into the last short section of this piece, how a UK advocate who is moving from the relatively familiar world of the administrative courts to the different world of the EU or ECHR Courts should conduct him or herself. What are the practical implications of all these similarities and differences? I will simply mention two simple points, neither of which make any pretension to originality, but which are often not well observed in practice. First of all, remember the importance of your initial written document. The first stage in any EU or ECHR case is going to be a pleading, or in the case of a preliminary ruling a draft order that forms the basis of the matter referred. This is going to be a crucially important document in the case, significantly more so than the statement of grounds in a judicial review. Indeed, another important procedural difference between the domestic courts and the EU courts, particularly in actions for annulment, is that the scope of the proceedings is set by the notice of application and there is very little room to expand or to vary the case. There is certainly no opportunity to supplement or replace your pleading with a fully researched skeleton argument prepared for the oral hearing, as is invariably the position in domestic judicial review. Indeed, in the preliminary reference procedure, you have only one opportunity to file written observations on the issues before the Court of Justice, and no opportunity to respond in writing to points made by other parties. Given this lack of flexibility, it is very important to set the agenda with your pleading or statement of case. 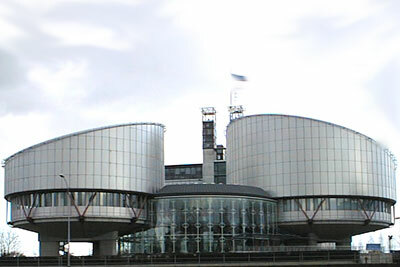 Likewise, it is crucial that your arguments are appropriate to the international tribunal, where doctrines such as the sovereignty of Parliament will be of much less importance than the development of the internal market or the promotion of the specific policies of the European Union or, in Strasbourg, the protection of democratic institutions and a free and equal civil society subject to the rule of law. In summary, it is crucial to remember that your written argument is likely to be your main and possibly your sole opportunity to state your case, on the basis of which, in the ECJ, the Report for the Hearing will be written by the reporting judge – other judges may not read the papers and will be dependant on this document for their understanding of the case. The oral argument, while it can sway the court in a complex or politically sensitive case, is not likely to be decisive. It offers only a limited opportunity to respond to written arguments submitted by others or to sway the Court by your eloquence or ability to answer questions from the Court. Secondly, remember who you are addressing, both in your written pleadings and your oral presentation. It is crucial to remember your audience, a panel of judges from a range of backgrounds and legal cultures whose language is unlikely to be English and whose only definite commitment will be to the development of the jurisprudence of the international institution of which he or she forms part. it is essential to identify arguments that are firmly based in the policies and legal principles of the European Union (such as equal treatment on grounds of nationality or legal certainty) or similarly central preoccupations of the European Convention (such as a fair balance between the interests of the individual and the wider community or the avoidance of arbitrary interference with individual rights). Such arguments will be your trump cards if you find them in your possession. This is true not only in your written but also your oral advocacy – the fact that judges may appear to understand your fluent English and nod sagely at your more ingenious points will not assist your client if the judges do not in fact understand what you are saying. Although that is an occupational risk in any tribunal, that risk is significantly higher before an international panel of judges, very few if any of whom speak English as their native language, than in the administrative court or the Court of Appeal. Of course, clarity of expression and focus on arguments that are likely to appeal to the judges that you are addressing are virtues in any advocate, so there can be wider benefits for your development as a lawyer! Finally, all I have offered in this piece is a few personal observations based on experience of cases before the UK and EU courts over a period of 20 years. Despite the criticisms that have been made of the Luxembourg and Strasbourg courts, some of them well founded, these two courts can be seen from the perspective of international cooperation and the rule of law, to be two of the greatest successes of the reconstruction of Europe since 1945. In Europe …, a truly European judicial system has grown up, with two complementary branches, the European Community branch and the European Convention on Human Rights. By a combination of history, political impetus, chance and design, the two branches have developed, independently yet interactively; and the European experience has attracted interest and indeed admiration worldwide. I am not sure that the European experiment has always attracted the “admiration” it deserves in the United Kingdom, but that is for another day. This entry was posted in Discussion and Debate and tagged Rhodri Thompson QC by eutopialaw. Bookmark the permalink.